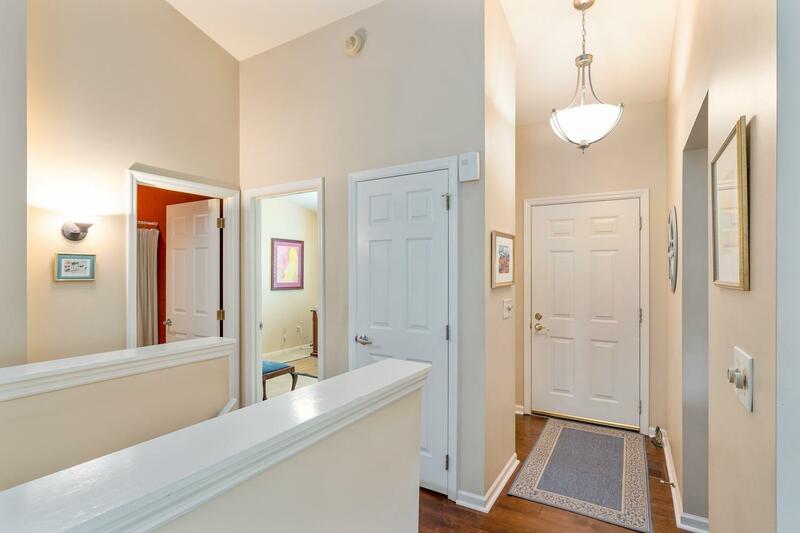 Impeccable secluded end-unit condo conveniently in Mt. Washington. Amazing condo in absolute move-in ready condition with many new updates. 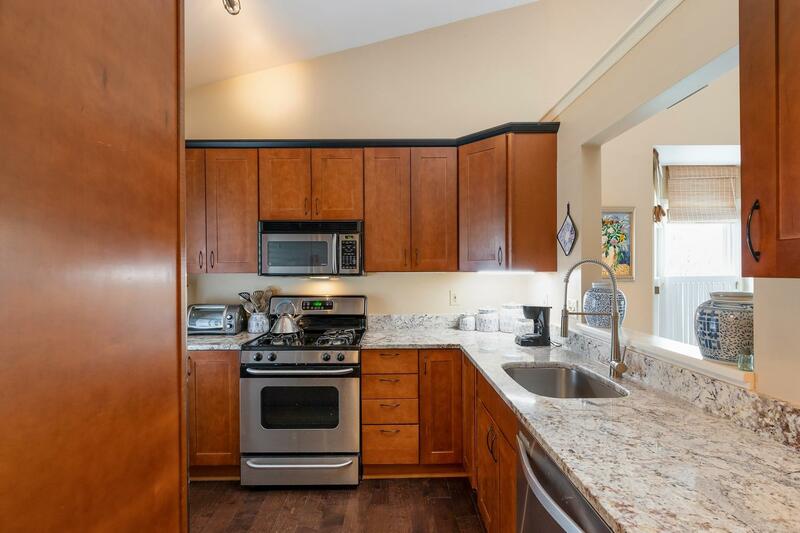 Kitchen features stainless steel appliances, granite and custom cabinets. Vaulted ceilings throughout, gorgeous manufactured wood floors, finished full base, fireplace, deck and much more! Like its famous water tower, Mt. Washington evokes a sense of stability and pride, products of its long history as well as its geographic location. The houses, ranging from the modest to the elegant, reflect Mt. Washington's diversity. Well-kept by proud residents, the homes are complimented by large shade trees which line many of the older narrow streets and enhance the area's quiet atmosphere. As the city's eastern most community, Mt. 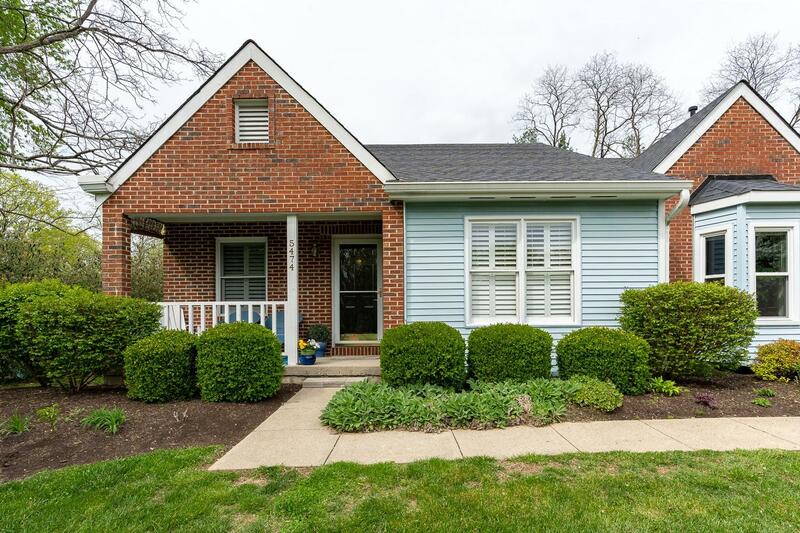 Washington enjoys a location that is convenient to Downtown Cincinnati. Convenience, recreational facilities and a small-town atmosphere enhance Mt. Washington's attractiveness. Queen City Metro has 2 routes to downtown plus the "Sun Run" which provides 20 minute express service. Downtown Cincinnati is a 20 minute drive. Interstate 275 is a 10 minute drive to the east. Anderson Mercy is located minutes from Mt. Washington. Seven of Cincinnati's finest hospitals are a 25 minute drive. Convenience shopping is afforded by the Mt. Washington business district. Ten minutes away is Anderson Town Center, which includes Macy's and the largest Kroger's in the nation. Eastgate Mall and Biggs Place Mall are located within reasonable driving distance. Golfers are a 10 minute drive from the public course at California and Lunken playfield. One private membership country club with an 18-hole course is in Anderson Township as well as one of the finest Hamilton County Courses, the Vineyard. Coney Island offers the world's largest recirculating pool as well as rides, games and private picnic facilities. Riverbend Music Center, an outdoor amphitheater, is located on the grounds of Coney Island. Boating enthusiasts can find several fine marinas on the Ohio River. Public tennis courts and a private indoor tennis club can be found at Lunken playfield. There is a summer recreational program at the Mt. Washington School. The YMCA in adjoining Anderson Township provides year-round programs. Stanberry Park in the heart of the suburb is open all year. Football, basketball, baseball and soccer teams are sponsored for boys and girls ages 6-15. There are also bowling lanes, a roller rink and boarding stables within easy access. Woodland Mound Park is over 1500 acres and offers a golf course, horseback riding and boating. This listing courtesy of Brian Bainum (513) 259-9570, Keller Williams Seven Hills Re 513-371-5070.